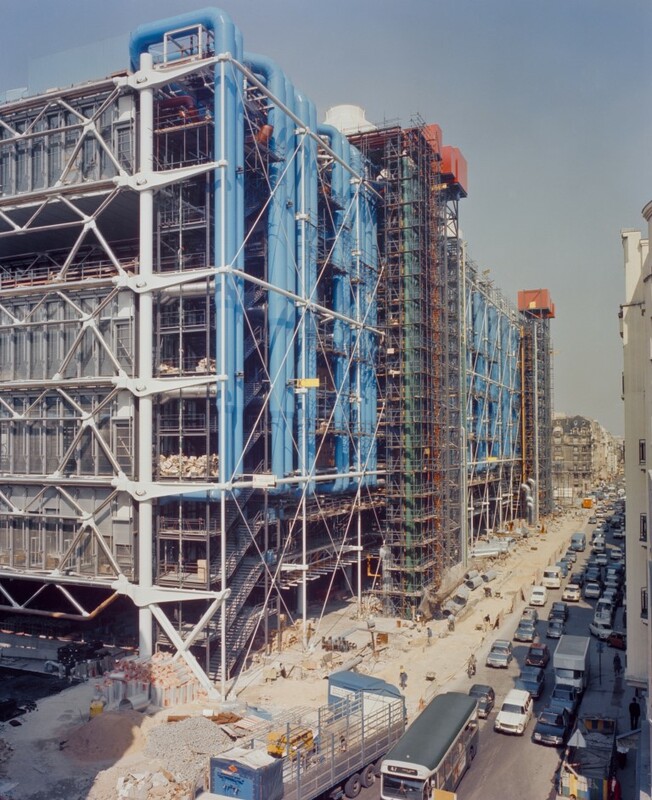 Forty years ago, the style and construction of Paris’ Pompidou Centre marked a revolutionary change in the design of public buildings. Loved and loathed in equal numbers by the public and the established order, it’s hard now to see what the big issue was but it caused a furore when it opened, with critics likening it to an oil refinery or boiler room – a style now termed High Tech architecture. An architectural competition – the first of its kind in France – was held to find the right design and in total, there were 681 design entries from 49 countries – all vying to transform a rundown car park, vacant since the 1930s, into an information centre and public art space for the public. Three architects were chosen – two Italians – Renzo Piano and Gianfranco Franchini – and a Brit – Richard Rogers. 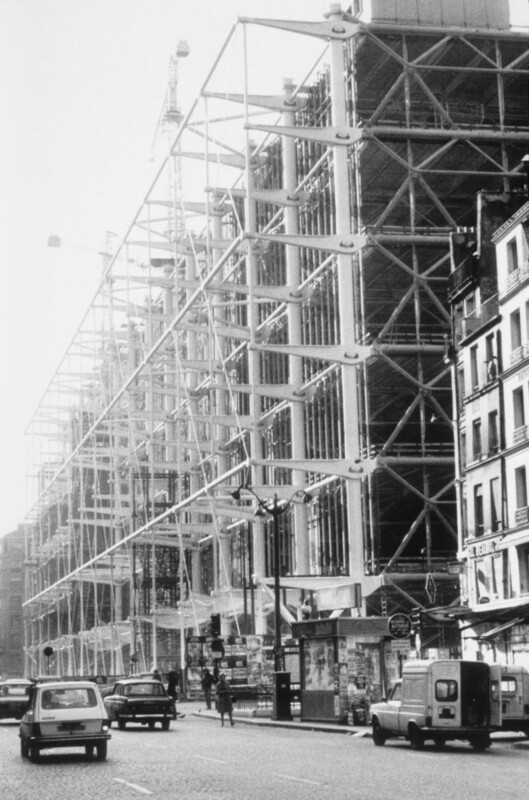 Officially inaugurated on 31st January 1977, the Pompidou Centre opened to the public on 2nd February and became an instant success exceeding (and silencing) those establishment critics. The High Tech look, as coined by Joan Kron and Suzanne Sleesin, was characterised by a “nuts and bolts, exposed pipes, technological look” and it broke the mould of building design – away from the monotony of the brutalist and dreary concrete slabs then being built all over Europe. It also marked the public’s interest in science and engineering, coming as it did so soon after the Apollo moon landings. 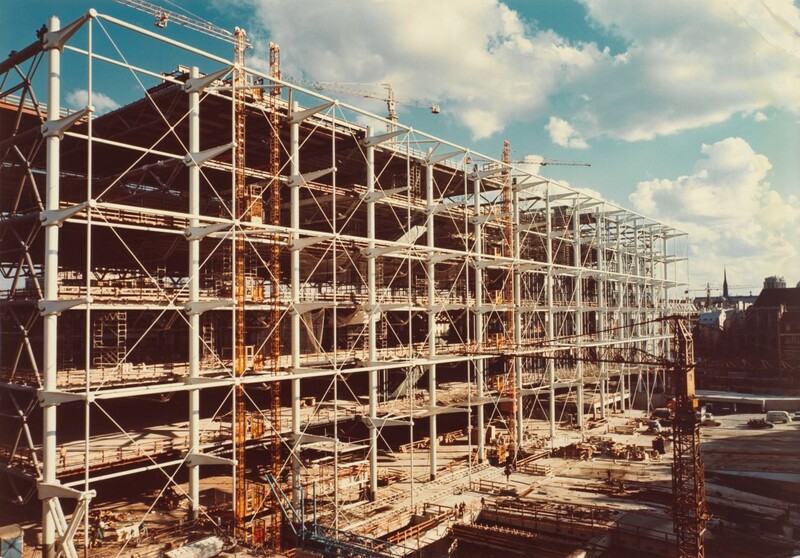 Sometimes referred to as the “inside out” building, the architects – by keeping the services and access on the exterior steel frame or in the ceiling or under the floors – created large internal spaces uninterrupted by structural columns or services. This allowed for a flexibility of space unknown at the time – a space easily adaptable, using temporary walls and partitions. 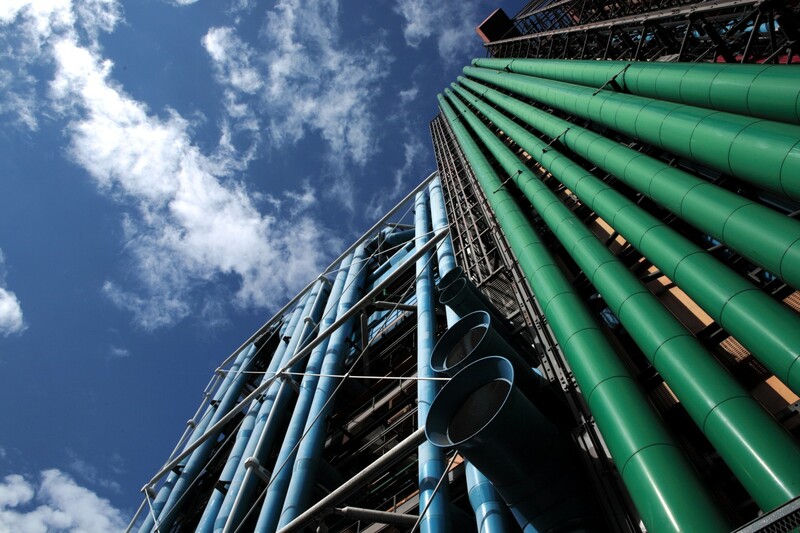 Its colour is one of the Pompidou Centre’s most distinctive features – blue, red, yellow and green and each has its own usage. Blue is for air-conditioning, yellow for electricity, green for water and red for circulating people via the escalators and lifts. Unexpectedly, given the establishment & media viewpoint, the public took the Pompidou Centre to its heart. Expected to welcome around 5,000 visitors a day, there were at least five times that number coming to see this new age building, necessitating a refit in 1997. When I visited relatively early in its life, it was an extraordinary experience – and I can still remember the pure joy of it – smiling broadly as I travelled up the external escalators, enjoying the street entertainers down below on the Place in front of the building and seeing a panorama of Paris from a new viewpoint. Bottom line, it’s a fun, inclusive, people-friendly building. “revolutionised museums, transforming what had once been elite monuments into popular places of social and cultural exchange, woven into the heart of the city”. 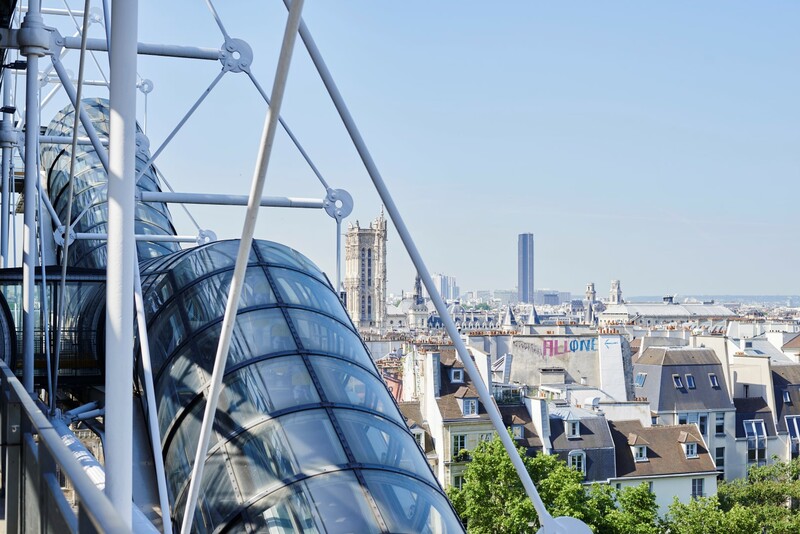 When looking at today’s buildings, you can certainly see the debt they owe to the Pompidou Centre which, unsurprisingly, has also become one of Paris’ most iconic and best loved buildings over the years. 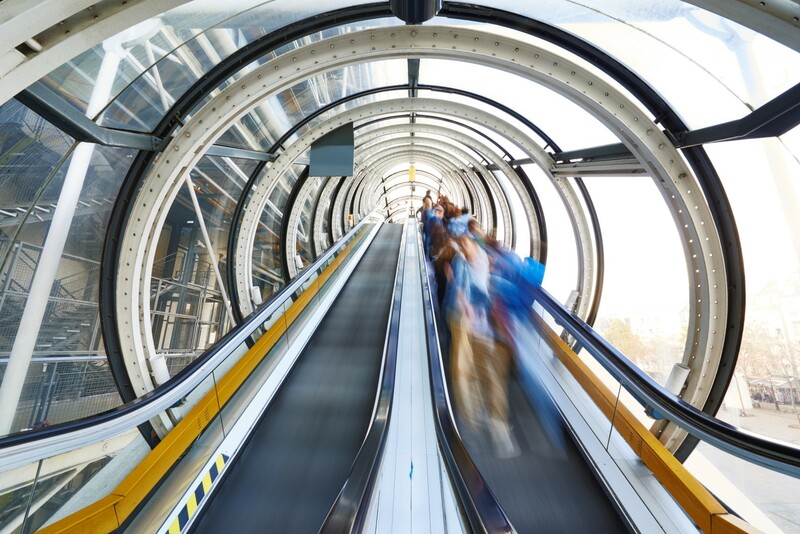 Similar to the Eiffel Tower which precipitated a critical storm in its own time, the Pompidou Centre has become a modern tourist’s must visit destination and even featured as Drox’s space-shuttle plant in the James Bond film, Moonraker. 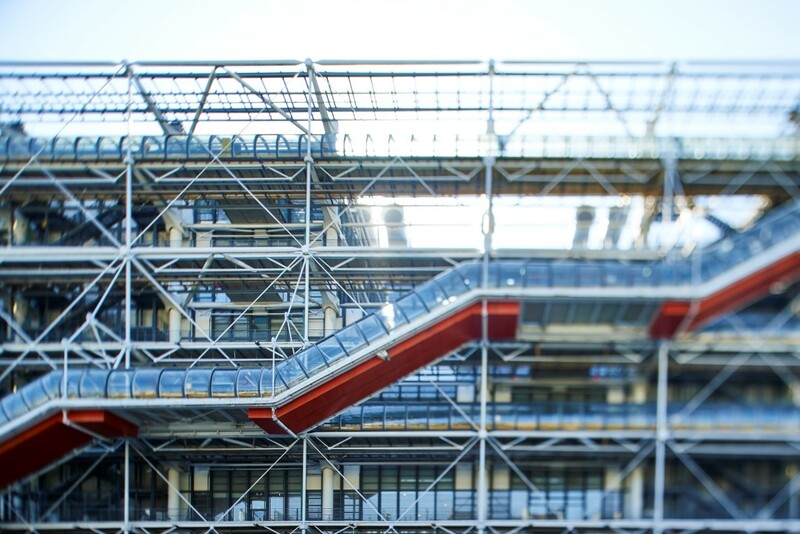 The Pompidou Centre extends over 10 floors of some 7,500 m2 of space. 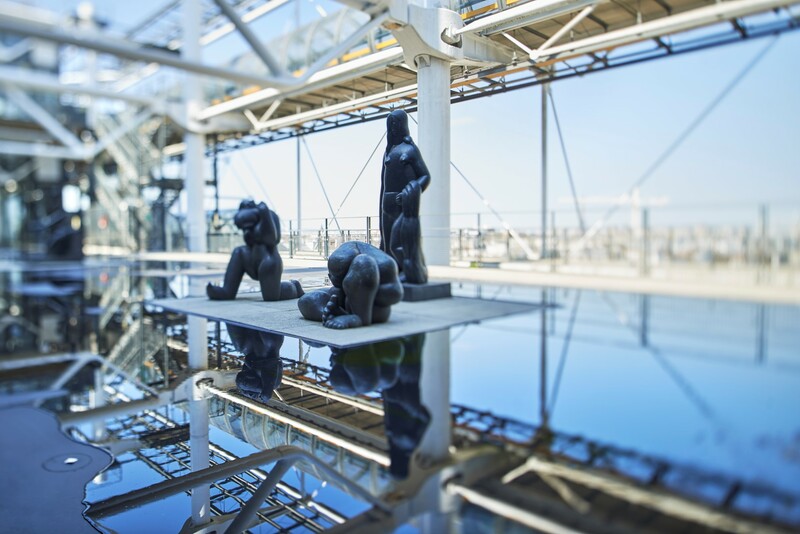 12 210 m2 is used for the collection of the Musée National d’Art Moderne – the largest modern art museum in France. 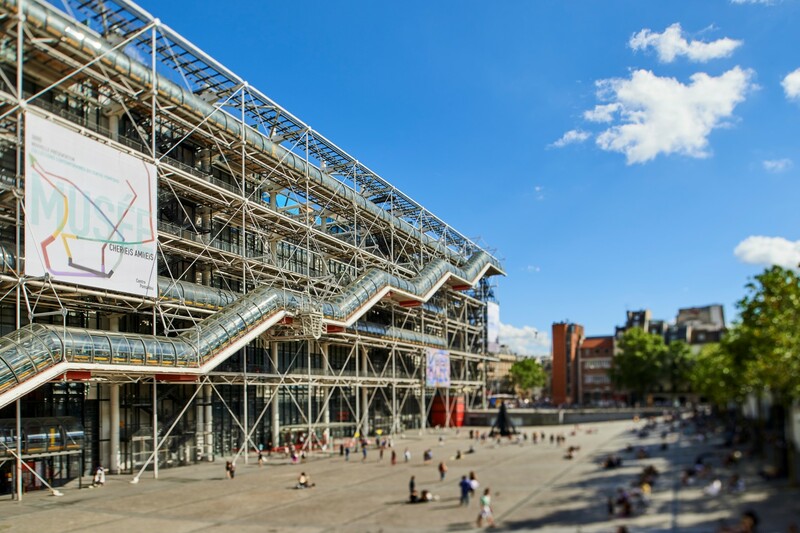 5 900 m2 of space is used to showcase the 25 temporary exhibitions the Pompidou Centre unveils each year. The building also houses 2 cinemas, a performance space and lecture theatre, a public reading library which can accommodate 2,200 users and the Kandinsky research library. It is situated in a district known as Les Halles, a bustling part of the city where just outside the centre, you can enjoy the antics of street artists, mimes, jugglers, artists and musicians. 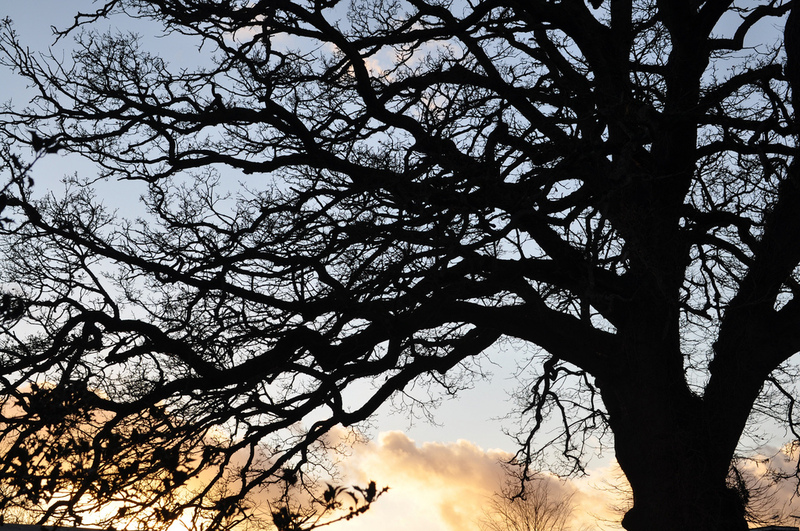 In total over the past 40 years, over 100 million visitors have passed through it’s doors. This landmark French anniversary is being, very appropriately, celebrated with museum collaborations in 40 cities across France. Here’s whats happening across the country. How to get there? Why not let the train take the strain with Voyages-sncf.com? 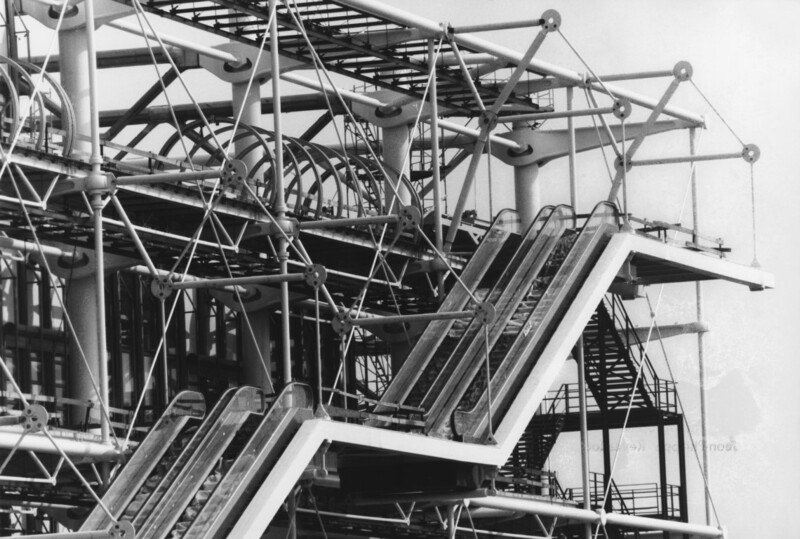 With thanks to the Pompidou Centre for their information and imagery – copyright Pompidou Centre / Manuel Braun. For transparency: Voyages-sncf.com is a client of my company, Magellan PR however the article above was inspired by my love of architecture, France and history.